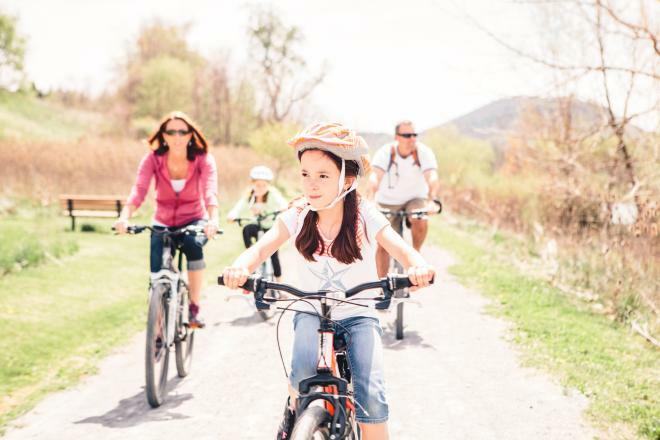 A family that bikes together stays together, and there’s no better time of year to get the little ones out for a ride than fall. The days are comfortable and the views are brilliant; who wouldn’t want to get outside? The only trouble is potential obstacles on the trails and not knowing which are easy enough for children to navigate. We can help with that. We’ve researched some of our top trails to learn which are most appropriate for young riders. 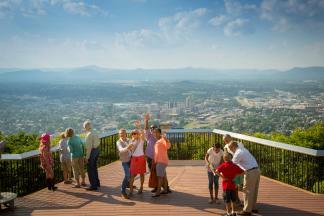 Make a plan to hit as many as you can this fall in Virginia’s Blue Ridge. There are more than 60 miles of trails to choose from at Carvins Cove Natural Reserve, but not all 60 are the best option for children. Rather, consider this “Easy Loop” by MTB Project. At about eight miles, it takes in the easiest segments to create a loop from the parking lot. To rock it, connect the dots: Songbird to Enchanted Forest to Little Bell to School House to Happy Valley. Poverty Creek is a good out-and-back and considered the easiest trail the park has to offer. Well traversed, Poverty Creek also delivers a couple of surprises along the way, like mud holes and a few tricky rocky places. Read a little more from MTB Project to get the lay of the land. 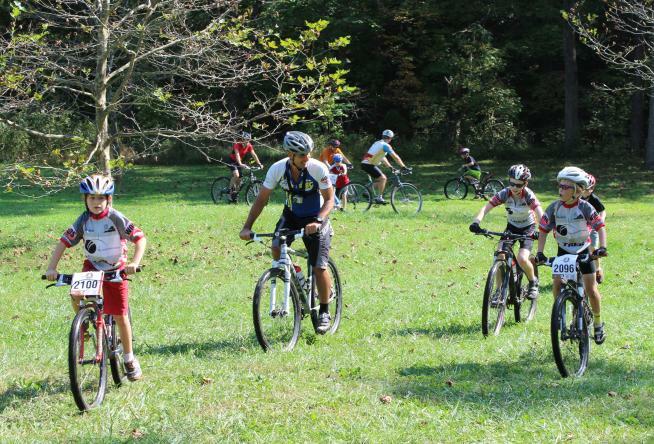 Guided Rides: The team at Roanoke Mountain Adventures can help you plan a mountain biking adventure for the entire family! 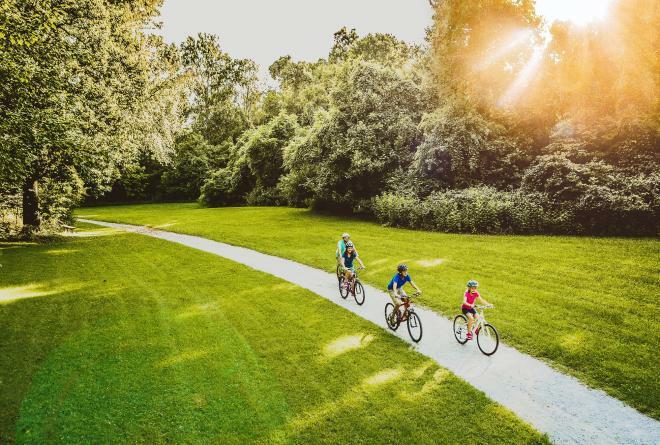 Whether you’re looking for a guided trip or want to set your own course, this local outfitter on the Roanoke River Greenway offers shuttle services, bike rentals, and route recommendations. There’s never a time like the present to become an active family. Time spent together in adventure is never wasted. 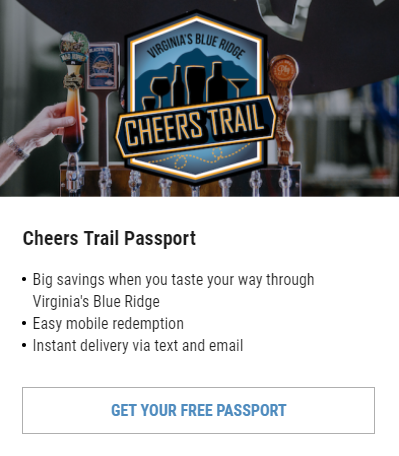 Show us what your memories are made of when you share them socially and add the hashtag #BlueRidgeDay.